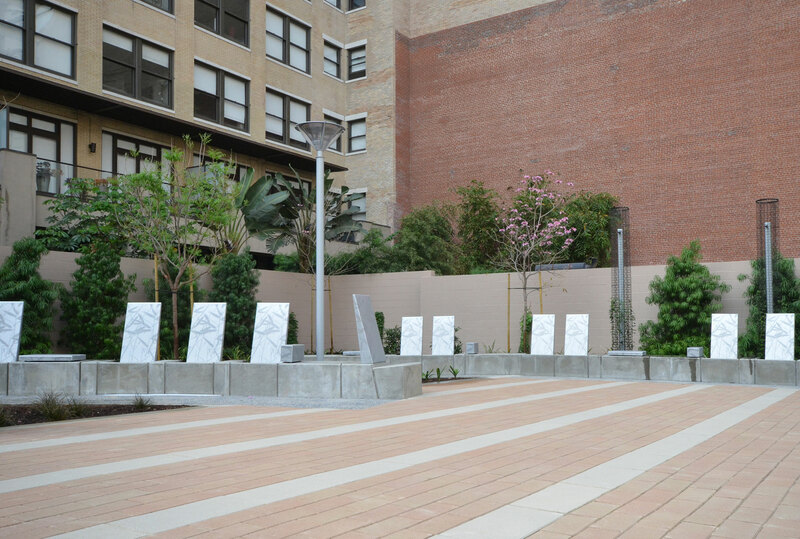 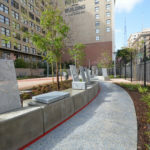 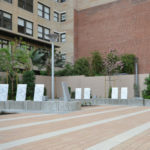 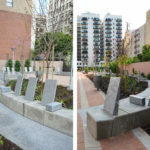 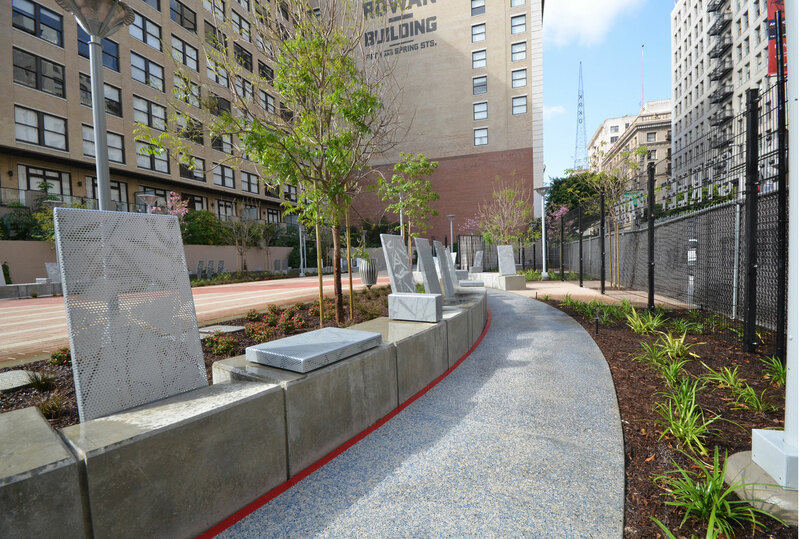 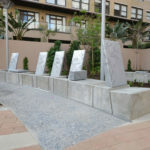 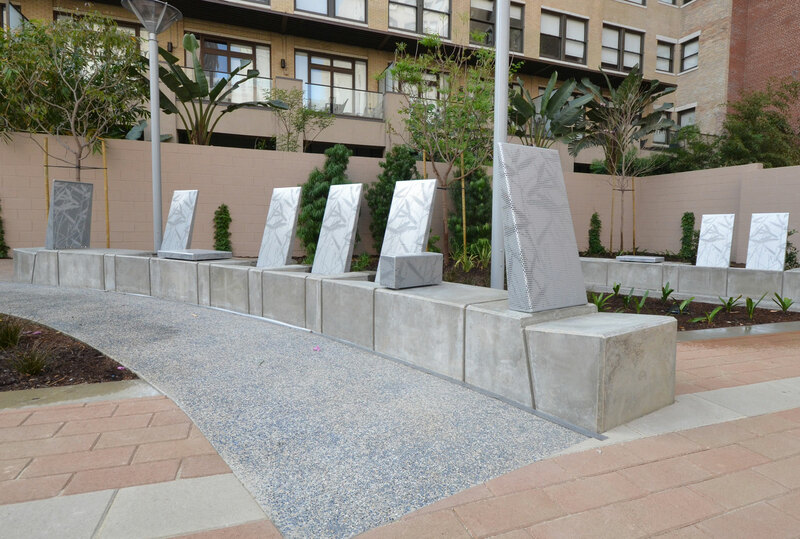 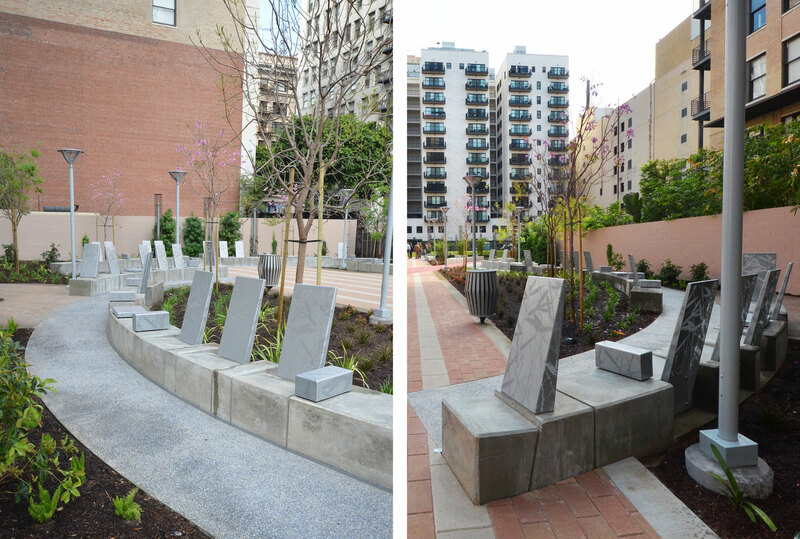 Spring Street Park is an urban pocket park in downtown Los Angeles. 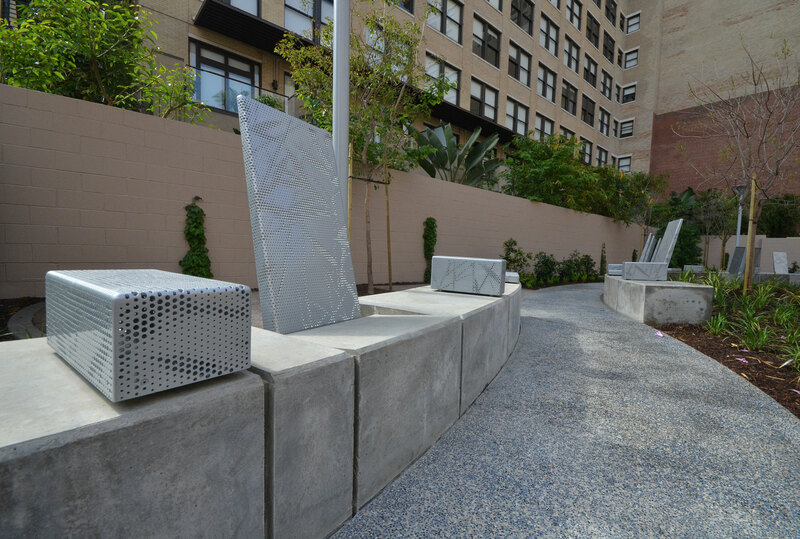 Small and intimate in scale, the park makes innovative use of interstitial urban space; site furnishings invite passersby to stop a while. 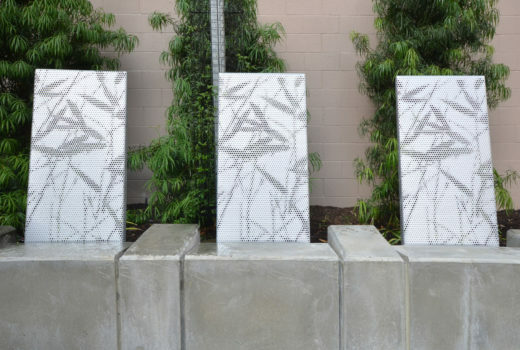 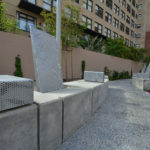 The custom perforated pattern of the bench backs, seat tops and armrests plays with light and shadow and references the surrounding bamboo landscaping, making a visual connection between the built environment and living plants. 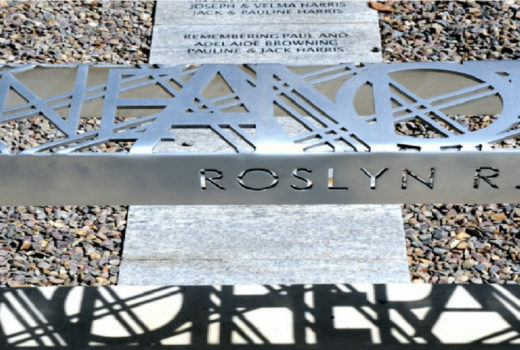 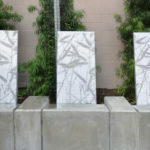 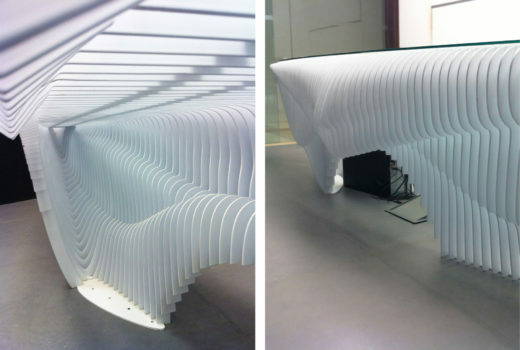 Arktura fabricated each element from aluminum to withstand the high-traffic nature of a public park.